Thinking about your next adventure to Scotland? 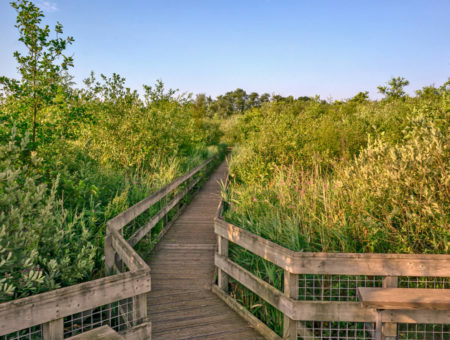 Why not go on a wildlife trail? See if you can spot any of the more unusual animals you can find in Scotland, including the ones we have picked out below. 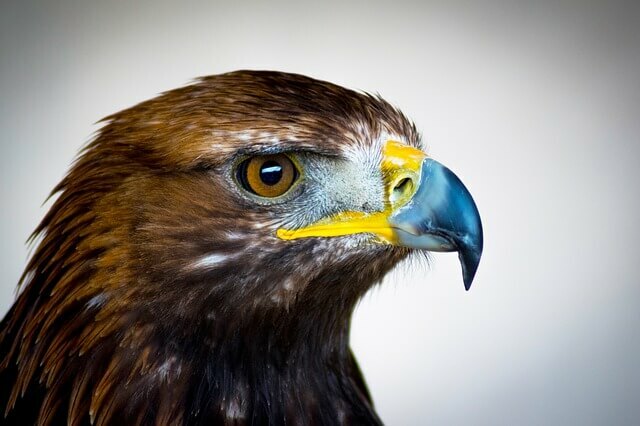 There are many magnificent birds of prey that inhabit Scotland, including red kites, ospreys and kestrels, but perhaps none are more spectacular than the golden eagle, the largest-winged bird in the UK that are completely mesmerising to witness gliding through the sky. The best place to spot a golden eagle is thought to be along Scotland’s west coast, including the isles of Skye and Mull, which coincidentally are some of the most beautiful parts of Scotland to explore. So even if you aren’t lucky enough to see one, you can bask in the beauty of your surroundings. Alternatively, there are many guided tours to be enjoyed with expert leaders, should you wish to be accompanied along the way. Be sure to have your binoculars at the ready! The distinctive markings and colourings of the puffin make it unmissable; you won’t mistake this bird for anything else! Affectionately known as the clowns of the sea, these charming, bright-beaked and bright-eyed birds need to be seen up close to be believed. 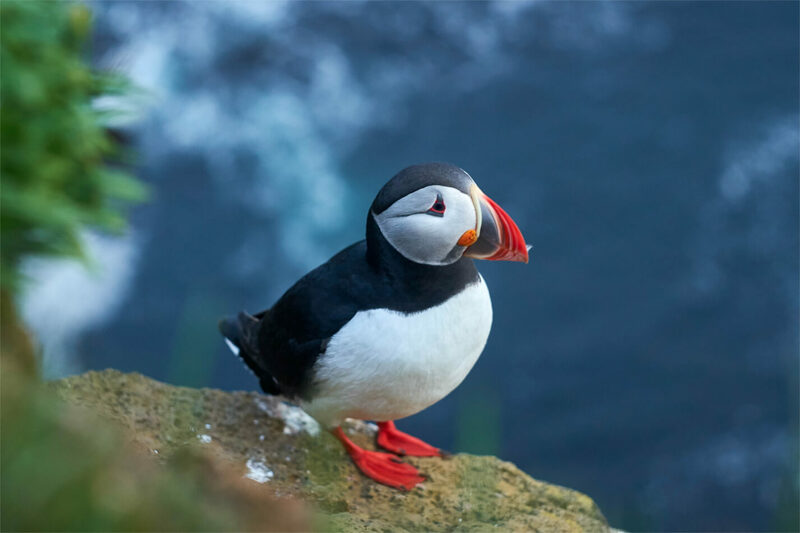 Puffins are quite shy and like to stick together, often nesting together in burrows. 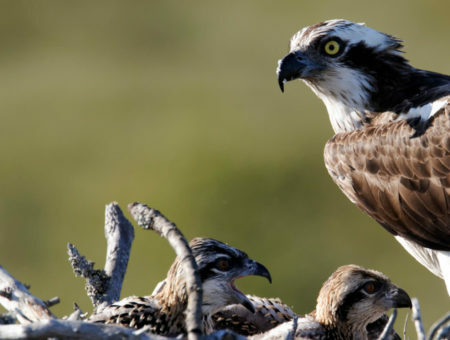 They migrate to Scotland each year and can be found all along the coastline – from north to south – and usually arrive around April time, spending the spring and summer there, before heading off again towards the end of August. Your best chance of spotting one is on a cliff where the area is grassy and green. The Firth of Forth, just north of Edinburgh, is also known to be a great place for puffin sightings. Basking sharks can be seen along the west and east coasts of Scotland, particularly around Oban, where tours frequently take place during peak season. It’s the biggest fish to frequent Scotland and the UK, and its unusual mouth means it’s easily distinguishable from all other marine life. Basking sharks are not your average shark; they are one of just three plankton-eating species of shark, plus their mouths can be open up to 1 metre wide, not revealing a set of razor sharp teeth, but gill slits, specially adapted bones which filter out any plankton from the water, whilst allowing the water to pass through. 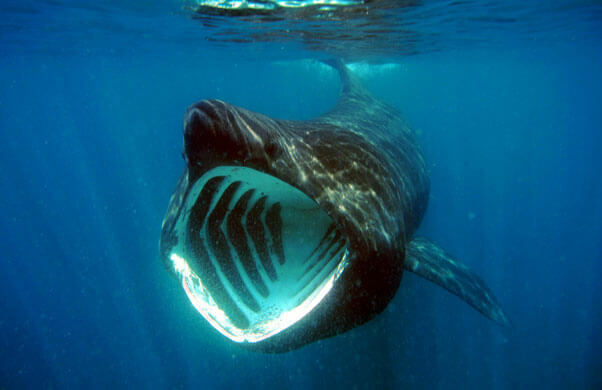 Normally arriving in Scotland in April, the peak season for spotting basking sharks in the Hebrides is July – September. Hop on a boat tour for you best chance of seeing them in action! 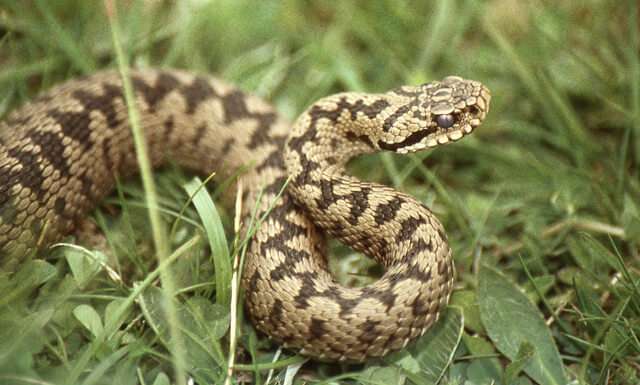 The only poisonous species of snake known to inhabit the UK, the adder is also the only species of snake you’re likely to find in Scotland. Although poisonous, they are not usually dangerous and tend to hibernate from October through to March. The best time to spot an adder is from March onward, when they’re out basking in the warmer weather, usually on logs or rocks. They are best found in mainland Scotland; you’ll struggle to spot one nearer to the coast. Adders are actually a protected species in the UK under the Wildlife and Countryside Act 1981 and are classified as a Priority Species in the UK Biodiversity Action Plan. 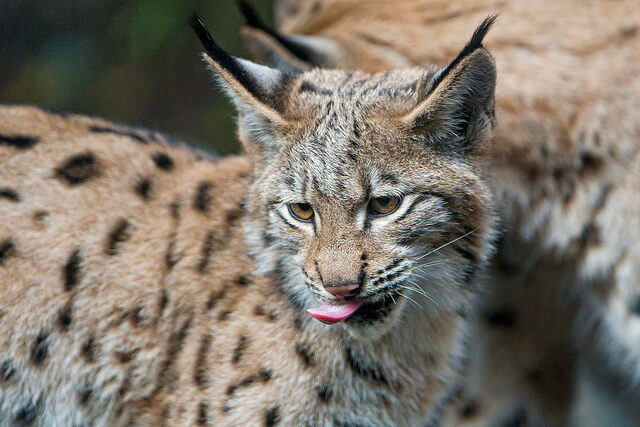 Lynx actually became extinct in the UK more than 1300 years ago, but were reintroduced into Aberdeenshire and Argyll in Scotland in 2015 by the Lynx UK Trust. The lynx is actually Europe’s third largest predator, behind brown bears and wolves, and hunt deer, mountain hares and other small mammals. They are quite difficult to spot, moving swiftly and often at night time, to avoid humans. If you are lucky enough to spot one, the lynx is distinguishable by its triangular ears with black tufts at the tip, along with its short, black-tipped tail. Native to Scotland, the mountain hare is known for its magnificent coat, which camouflages them; during the summer months, they blend into the heather-clad moorland they frequent with their grey-brown coat often tinged with blue. In the winter they turn almost completely white, making them difficult to spot in the snow. 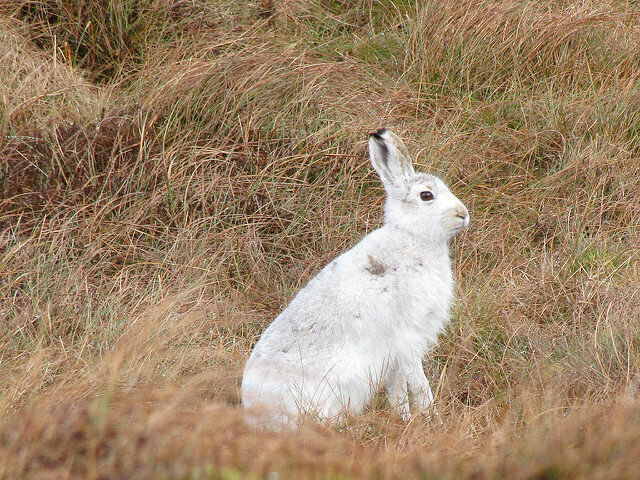 Mountain hares can be found throughout the Scottish uplands, from Shetland to the Cairngorms. They can be found in Scotland all-year-round but are best spotted in early spring when their coats are still white but the snow has melted. They are also found in Scandinavia and Siberia, but are only native to the Highlands of Scotland. Want to know more? Why not take a look at 5 unusual animals you can find in Wales? For more things to see and in Scotland on your next holiday, browse through our Scotland Travel Guide.